Sandy Bay is a suburb of the city of Hobart, Tasmania, Australia, located immediately south of the central business district, and adjoins the suburb of Battery Point. Sandy Bay is bounded on the east by the Derwent River, and has several beaches along the shore, the main beaches with public access are Nutgrove Beach and Long Beach. Sandy Bay is a suburb of Hobart with a variety of accommodation and only about 30 minutes walk to the city. It is a very pretty area with views across the Derwent River to Tranmere on the opposite bank, or views along the water's edge to Wrest Point Casino. There are a number of cafes and restaurants in the area or you can grab a takeaway and enjoy a meal at the picnic tables along the beach. Sandy Bay is within walking distance to the famous Salamanca Markets or you can easily jump onto a bus and head to town. This is a convenient place to stay in Hobart. 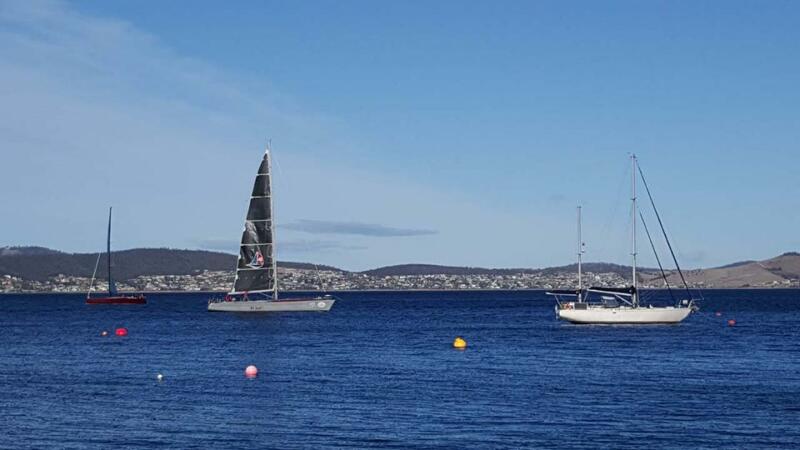 have you been to Sandy Bay - Hobart? Explore Sandy Bay - Hobart with RvTrips and find out where to stay, what to do and what to see. Helping caravan, motorhome and camper owners have a great holiday.